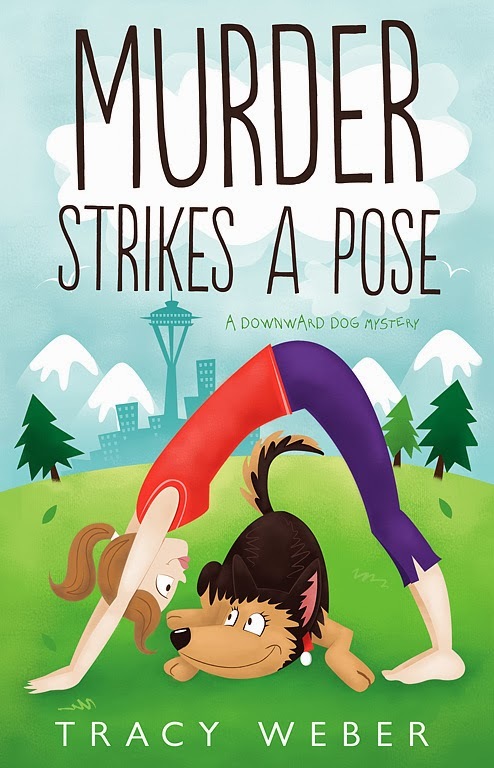 Seattle Yoga instructor Kate Davidson tries to live up to yoga's Zen-like expectations, but it's not easy while struggling to keep her small business afloat or dodging her best friend's matchmaking efforts. When George, a homeless alcoholic, and his loud, horse-sized German shepherd, Bella, start hawking newspapers outside her studio, Kate attempts to convince them to leave. Instead, the three strike up an unlikely friendship. Then Kate finds George's body. The police dismiss it as a drug-related street crime, but Kate knows he was no drug dealer. 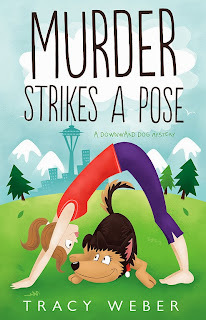 Now she must solve George's murder and find someone willing to adopt his intimidating companion before Bella is sent to the big dog park in the sky. With the murderer on her trail, Kate has to work fast or her next Corpse Pose may be for real. A woman who willingly adopts a homeless dog with a poor personality has a heart as big as Texas. She's definitely worth asking out on a 2nd date. Dianne--Yes indeed. Kate has a very big heard. I hope you check out the book and love it! Bella sounds like a hoot! I wonder if she would like Reg from my Gourmet De-lite series? Michael, l I think she will adopt Bella. And she'll ask you out... Best of luck! Peg, Bella pretty much dislikes all other dogs. But she might make an exception for such a cute little guy like him. Willow--Michael really hopes you're right-- on both counts! Also Peg, thank you so much for hosting me here today. Writing from Michael's perspective was fun!